The Goddess Mercury by Cherie L. Kunkel. It might surprise the modern reader of East Asian Buddhist history – be it with respect to Zen or any other tradition in the Sinosphere – that astrology has played a significant role from early on. Some time ago I came across the twelve zodiac houses in a Buddhist sūtra in Chinese translation which immediately sparked my interest.1 I had not read nor heard of such things before in the Chinese Buddhist canon. It seemed reasonable that Chinese astrology might have been practiced amongst Buddhist clerics in ancient times, though why were the twelve zodiac houses appearing in a Buddhist scripture in Chinese translation? 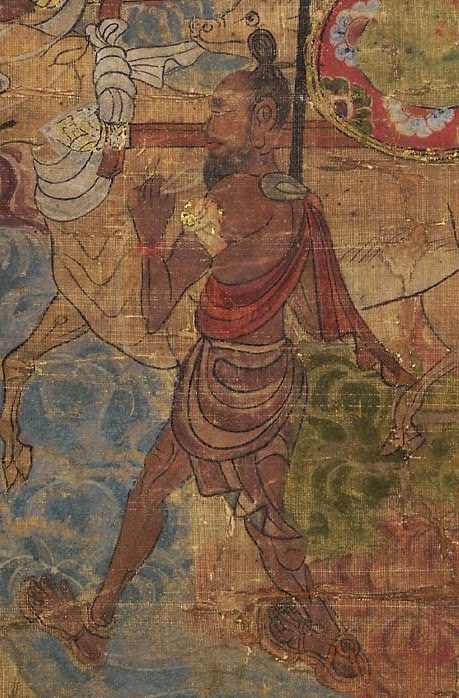 I had read some work on Vedic astronomy – specifically the work of Richard L. Thompson: Vedic Cosmography and Astronomy2 – and was aware that Babylonian-Hellenic influences were present in Brahmanical traditions in India, though was unaware how early those influences carried over into Buddhist literature. To my surprise those influences were evidently transferred over into Chinese translations. Later well-developed and widely practiced models of Buddhist astrology emerged which effectively combined early albeit probably unrecognizable Babylonian elements together with multiple levels of Indian developments, thereafter merging with mainstream Buddhist traditions and finally in China being coupled with Daoist ideas. Even beyond that point at least one major system was imported into Japan and further developed – the Sukuyō-dō 宿曜道, based on the Xiuyao-jing 宿曜經 (in Japanese Sukuyō-kyō) purportedly translated by Amoghavajra in 759 and later revised in 764 by disciple Yang Jingfeng 楊景風 under his master's guidance – which became popular for a few centuries with famous literature like the Tale of Genji making reference to it. Likewise astrology had a role to play in medieval Korean history. From a scholarly point of view this is all quite fascinating albeit extremely complex. To really understand the subject at hand requires a pan-Eurasian perspective spanning thousands of years plus knowledge of science and religion in both the Indosphere and Sinosphere. This perhaps explains why the subject of Buddhist astrology has not received so much attention at the academic level. As noted above, after several years of researching East Asian Buddhism I had seldom ever saw mention of astrology. At the popular level in the western world many people are aware of the living tradition of Tibetan astrology, though it is less known that Sukuyō-dō in Japan is likewise alive and still practiced (there are plenty of recently published manuals for sale online). In this discussion I want to describe the significance of astrology in East Asian Buddhism, which is somewhat unappreciated and largely unrecognized in all but specialized scholarly works, even in the Chinese and Japanese speaking worlds. This is not a popular subject perhaps owing to the widespread interest supposedly more rational or practical traditions of Buddhism on the part of both contemporary scholars and modern Buddhist writers, both east and west. 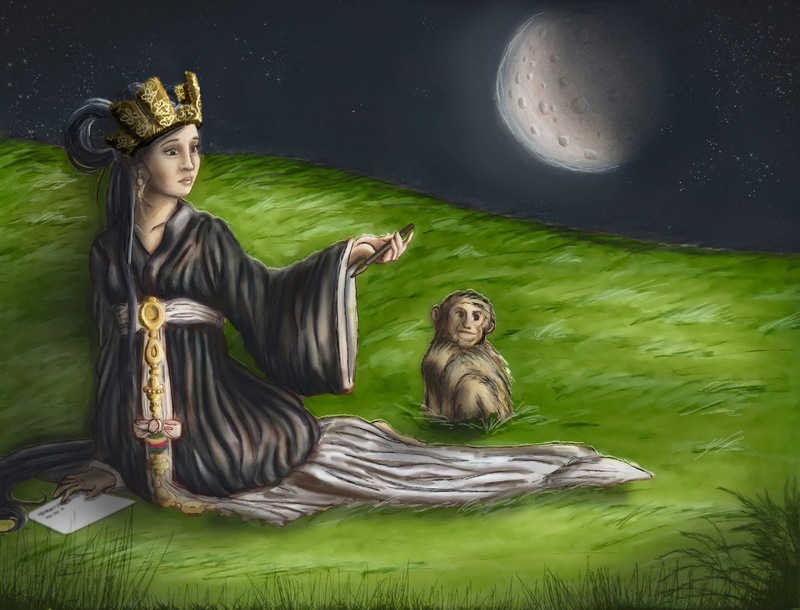 Nevertheless, I want to stress that historically astrology was a part of Buddhist society in China and later in Korea and Japan, and that arguably it had an influential role both in contributing to traditions of mysticism, but also building bridges between Buddhist society and more strictly non-Buddhist elements of society. One problem perhaps with the term “Buddhist astrology” is that, strictly speaking, plenty of Buddhist scriptures forbid astrology and divination, yet nevertheless there were astrological texts with clearly Buddhist themes emerging in India and later being translated in China. In the latter the prevailing models of the Vinaya and Mahāyāna bodhisattva precepts plus widely available popular scriptures are quite clear that monks at least are not supposed to practice such things, even though they did. For example, such a proscription is found in the Sūtra of the Buddha's Bequeathed Teachings 佛遺教經, which is a summary of the Buddha's teachings provided shortly before his death among the śāla trees in Kushinagar. The translation is credited to Kumārajīva (344-413) and later was widely read, especially in the Chan school even up until present times. There is no extant Indian original (and there might never have been), though Paramārtha (499-569) in the sixth century translated a commentary on the sūtra ascribed to Vasubandhu. In addition, there are many more classical commentaries on the text by authors in East Asia. The sūtra is short and easy to read, which helps explain its popularity over the centuries. It is therefore unsurprising that Chinese and later East Asian monks from elsewhere did not ever seriously attempt to implement or follow even the basic rules of the Indian Vinaya. 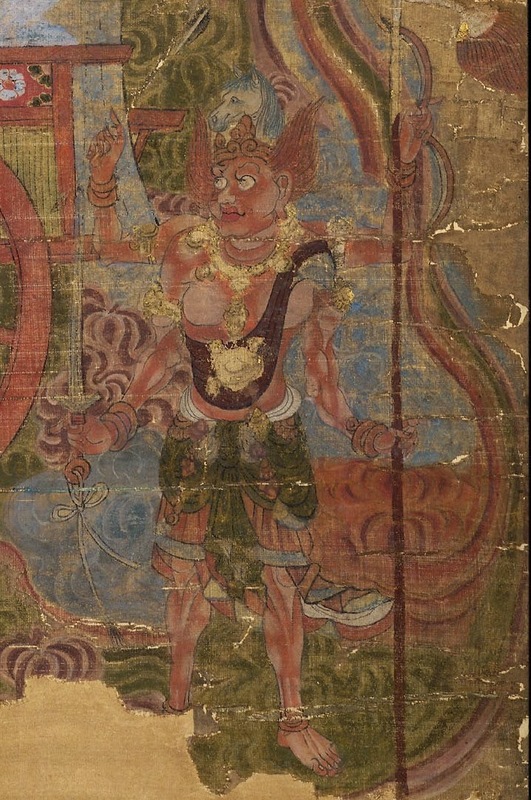 While it is easy to recollect the absence of fasting past noon and daily rounds of begging for food in East Asian Buddhist history, we should also be aware that their Vinaya literature generally prohibits bhikṣus and bhikṣuṇīs from engaging in divination and astrology, even though these practices are clearly provided in some sūtras, some of which predate the translation of Vinaya texts in China. For instance, the Mātaṅga Sūtra 摩登伽經, translated into Chinese in 230 CE by Zhiqian 支謙, is the oldest known Indic sūtra translated into Chinese to include jyotiṣa (Indian astrology) elements such as the 28 nakṣatra-s, 9 graha-s, monthly gnomic and the Metonic cycle. This was long before the first major Vinaya prātimokṣa the Sarvāstivāda Vinaya 十誦律 was translated in 406. It is clear then that auspicious and inauspicious days were a concern of Buddhists early on and even canonical non-Mahāyāna texts reveal this. This was likewise true outside the Indosphere in a country like China which had equally longstanding interests in astrology. Here the meaning of “divination for men and women” would seem to include astrology. In a commentary on this sūtra by Huayan patriarch Fazang 法藏 (643-712) he suggests this means divining when it is appropriate for a man and woman to get married or reading moles on the body.12 The term in Chinese zhan xiang 占相 is defined in the modern Hanyu Da Cidian 漢語大詞典 as “surveying some certain natural phenomena or a person's face or complexion to predict auspiciousness or fortune.”13 In the context of this sūtra this would presumably include surveying the stars, which was a practice common both in India and China. Again it can be noted here there is an unspoken proviso that such practices are improper only if done with unwholesome intent or for personal gain. 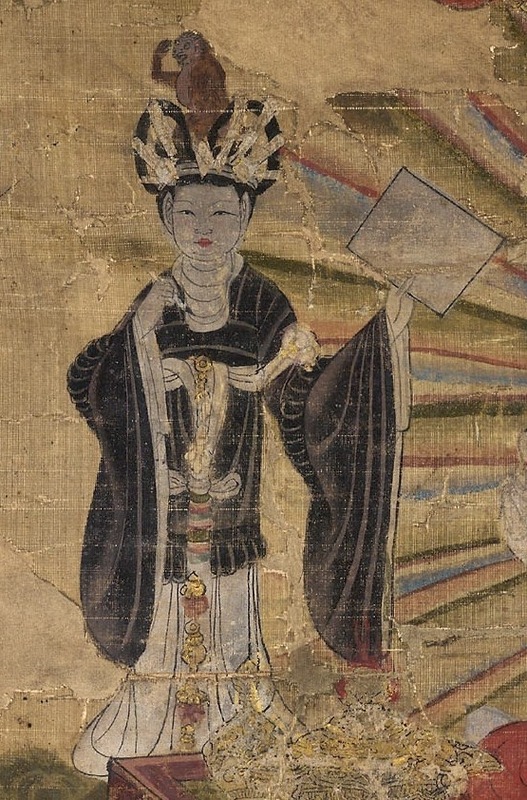 The erudite Vinaya master Daoxuan 道宣 (596-667) also includes astrology as a wrong livelihood, though with Daoxuan this does not preclude the possibility of practicing it for religious motivations. Destroying right livelihood is inappropriate solicitation or by wicked intent supporting oneself, of which there are five and four types.The five types:I. For personal gain reforming standard observances and dishonestly displaying strange signs.II. Speaking of one's own merit.III. Loudly displaying one's power.IV. Speaking of one's own attainments to prompt offerings.V. Divining the fortune of another for gain.The four types:I. Wickedness at a distance: dispatching envoys to the four directions in pursuit of clothing and food.II. Wickedness by looking upwards: surveying above features of star signs and lunar cycles. As Daoxuan notes, his points here are derived from Nāgārjuna's Mahāprājñāpāramitā Upadeśa 大智度論, translated by Kumārajīva between 402-406. Again it is noteworthy that the aforementioned Sūtra of the Buddha's Bequeathed Teachings was translated around the same time, which means from the early fifth century onward China had a widely read sūtra, śāstra (or upadeśa) and fully translated Vinaya codes that prohibited astrology, at least for personal gain. The tone of these works though suggest to me that the expectation is that a bhikṣu will not engage in such practices altogether, yet it might be begrudgingly accepted if it is done for religious reasons. The extant Vinaya literature from India of all schools displays an ongoing constant fear of spoiling the sangha image for laypeople, yet at the same time it occasionally does compromise to provide desirable services to laypeople. As cited above the Dharmagupta Vinaya commands that the sangha must not advise people to engage in worldly acts when it is astrologically auspicious, yet it is permissible to advise the masses to do religious acts when appropriate on auspicious days (such as on the 8th, 14th and 15th in a fifteen day lunar phase when powerful devas descend into the world). This sort of approach carried over to China as well, though concern for the Vinaya altogether was seldom significant. The translation and implementation of Buddhist astrology texts, at least at the upper levels of the clergy, would suggest that generally speaking astrology was never significantly opposed from the introduction of Buddhism and then throughout the Tang Dynasty. This is unsurprising given the role astrology/astronomy played in China from ages long before the introduction of Buddhism. Imperial courts kept logs of notable astronomical events, which were included in the official dynastic histories. Court astrologers were also important and well-paid members at court. He is charge of [monitoring] the Mandate of Heaven and the calendar. He reports on the new year's calendar whenever the year is about to conclude. He is in charge of reporting good days and taboo times whenever there are national sacrifices, funerals or weddings. He is in charge of recording auspicious responses, calamities and abnormalities whenever the country has them. His monthly salary came to 3500 cash in 106 CE. To put that into perspective, the accessory clerks made 400 cash per month while the highest member on the salary list was paid 17,500 cash, the next best with 9000.15 Thus while the court astronomer was not the top paid member of the bureaucracy, clearly his services were important enough to merit a comfortable income. To be an astrologer was a respectable profession. While some Buddhist texts from India might have regarded it as worldly and inappropriate for Buddhist disciples, in China such a taboo did not seem to exist or ever really be significantly adopted from Indian Buddhist texts, which helps to explain the success of esoteric astrology texts from the late seventh century onwards. A few decades after Daoxuan's passing the monk Yixing 一行 (683-727) rose to prominence as an esoteric monk who was adept in astrology and calendrical sciences.16 He perhaps marks a period in which interest was increasingly paid to imported models of Buddhist astrology from India which became coupled to native Chinese models. While in the Sino-Japanese esoteric tradition he is noted for being the only major Chinese figure promoting the new esoteric teachings under the reign of Emperor Xuanzong 玄宗 (r. 712-756), in conventional Chinese history, as George Keyworth suggests, he “is much more famous a scientist, mathematician, and astronomer who built clocks, introduced Indian mathematics (the Kuṭṭaka method to solve equations), and produced the Kaiyuan era Dayan calendar 開元大衍歷 between 721-727.”17 He studied Sanskrit under Śubhākarasiṃha 善無畏 (637-735) and Vajrabodhi 金剛智 (671-741), and thus had direct access to Indian scientific knowledge. I. Manual of the Constellations and Celestial Bodies 宿曜儀軌 (T. 1304). A sādhana comprising mudrā-s and dhāraṇī-s of several bodhisattvas, deities, planets, constellations and the sun and moon. There are methods provided to turn inauspiciousness to auspiciousness. The practitioner is also advised to initiate certain practices on what would be especially astrologically inauspicious days for them as an individual according to the location of celestial bodies in the sky relative to their birth sign. The first few lines of the text instructively reveal the nature of the relationship between Buddhist deities and the skies above. Here the bodhisattva is elevated to a cosmic level, though it is unclear to me whether this is to be understood literally or metaphorically. Nevertheless, the celestial lights above are visibly representative of the bodhisattva. Following the procedures for Ākāśagarbha, Mañjuśrī, Samantabhadra, Indra and Vaiśravaṇa, there are further dhāraṇī-s provided for the sun, moon, five planets, Rāhu, Ketu,20 the twenty-eight constellations and the Big Dipper. Specific days of the lunar month are listed as opportune times in line with certain planets. Hao Gongjing was collecting medicines on Mount Tai and passed by the market. Someone who saw spirits was shocked at how the flock of spirits would see Gongjing and all run away from him. After getting his medicine he mixed a “spirit slaughtering pill”. Any ill person who took it recovered. Spirit possession and attacks were a genuine concern of people – educated Buddhists included – and the medical community had various ways of dealing with such entities. It is therefore unsurprising seeing a Buddhist text addressing such concerns in this period. III. Procedures for the Fire Ritual for the Seven Stars of the Big Dipper 北斗七星護摩法 (T. 1310). This is a homa ritual directed at the seven stars of the Big Dipper for longevity and an increase in fortune. It provides numerous mantras and mudrā-s directed at planets and constellations plus an offering rite to the Big Dipper. The second part of the text is a Tejaprabhā Buddha practice, which was appended, and has Śākyamuni Buddha himself in the Pure Abiding Heaven Palace (Śuddhāvāsa) teaching the mantra of the past Sālarāja Tathāgata to the deities of the constellations, planets and twelve zodiac houses.22 Clearly the belief here is that powerful deities reign over these parts of the sky, and it seems literally could communicate with the Buddha in a transcendent heaven. The talisman marks are underneath each star in the diagram. The practitioner is supposed to carry these marks on their person for luck. Such polytheist fatalism like this would of course be contested by many Buddhist philosophers, though nevertheless here we see a canonical text with the Buddha declaring that the stars of the Big Dipper govern one's lifespan. This highlights the flexibility and freedom the esoteric authors of this period clearly had. Moreover, it is instructive that such a text was entered into the canon rather than being burnt as heretical. However, later in the Tang, seven buddhas were placed in charge of the gods of the Big Dipper, though the ritual itself did not greatly change.25 Some Buddhists were clearly interested enough in their native astrology traditions to reform and effectively make them Buddhist. One other work is sometimes attributed to Yixing, though in actuality it was composed based on his instructions:26 The Nine Luminaries of Indian Astronomy [Brahma Hora Navagraha] 梵天火羅九曜 (T. 1311). Like the above texts it is a manual complete with mantras and instructions for rituals. It is illustrated with images of the relevant astral deities (the nine are the sun, moon, five planets, Rāhu and Ketu). Specific dates are provided throughout the calendar year corresponding to auspicious and inauspicious times. Descriptions of the planet deities each include an associated animal cap (see below). The text had a role to play in the artistic tradition as well, which further reveals the influence and importance astrology had in the lives of people, or at least those who would sponsor artworks of this kind. There is a famous painting entitled "Tejaprabhā Buddha and the Five Planets" from Qianning 4 乾寧四年 (897 CE) 熾盛光佛并五星圖 by Zhang Huai Xing 張淮興. The planets as depicted below are largely identical to what is described in the text. You will notice in the bottom left a certain figure noticeably different in skin tone from the others. He is a Brahmin depicting Saturn, carrying a staff and directing the ox. Atop him is an ox head. 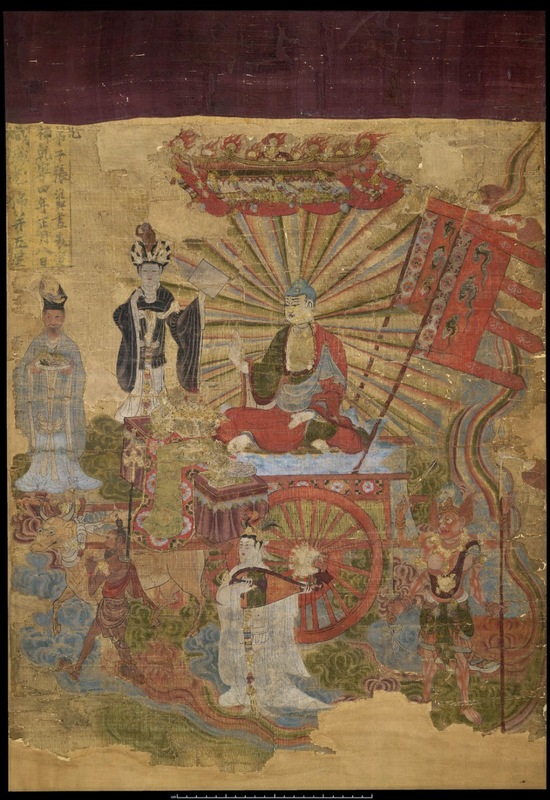 At the bottom right the four-armed externalist (外道) is Mars. He has a donkey atop his head. He carries an arrow, bow, double-edged sword and trident. Tejaprabhā Buddha naturally is depicted as a proper buddha complete with radiant golden skin (it seems the gold leaf has largely worn away) and uṣṇīṣa (on the crown of his head). He too is wearing Indian garb in this image. Chapter two explains the stars belonging to the 28 nakṣatra-s (constellations as listed in jyotiṣa literature – they are individually associated with days on the sidereal calendar of 27.321661 days), their shape, associated deities and furthermore appropriate tasks on days associated with them, i.e., electional astrology (the number of nakṣatra-s reflect the number of days in a sidereal month). It further explains the qualities of individuals born under the individual constellations. Chapter three provides a method for gauging potential friendships and prescribed activities day by day for individuals based on the constellations associated with their births. Chapter four details auspicious and inauspicious activities on the seven days of the week. It further discusses how people with birthdays falling on specific days should behave as well as forecasts for harvests based on which day of the week falls on lunar 5/5. It further lists potential calamities that might occur should an eclipse or earthquake occur on a given day of the week. Chapter five details a secret forecasting method based on the seven days of the week tailored to the individual. -On all inauspicious days it becomes auspicious after noon. -On all inauspicious nights it becomes auspicious after midnight. Chapter seven names specific days and prescribes activities to be done on such days. It interestingly also names specific deities (Brahma, Vasu, Śiva and so on plus the Big Dipper god) who descend into the world. The second scroll of the text does not include chapter numbers. It provides further details on the aforementioned subject matter, a table for finding a person's associated signs,31 additional proscriptions and prescriptions associated with the 27 nakṣatra-s, zodiacal signs, days of the week and so on. Taken altogether, the text is a comprehensive manual of astrology, though it does incorporate multiple elements in a somewhat piecemeal fashion. The chapters seem to be disconnected, which suggest the text was compiled and adapted from several sources rather than being a planned systematic model. The sūtra also had a long and influential history in Japan. It was first transmitted to Japan by Kūkai 空海 (774-835) in 806, while later also being formally brought over by Tendai monks Ennin 圓仁 (794-864) in 847 and Enchin 圓珍 (814-891) in 858. While the text itself was employed in esoteric circles, a separate tradition of astrologers who used this text developed, called the Sukuyō-dō 宿曜道 (Way of Sukuyō), which is still a living tradition today in Japan. Toda Yusuke 戸田雄介 in his paper defines Sukuyō-dō as a system of astrology and amalgamation of astrology techniques established in the mid-Heian period (794-1185) used for divining the fortunes of individual aristocrats and performing rites as necessary.32 Sukuyō-dō simultaneously developed alongside Onmyō-dō 陰陽道 (the “Way of Yin and Yang”), a unique Japanese system of occult practices and knowledge borrowing from multiple sources of Chinese knowledge.33 Both traditions had a profound impact on aristocratic Heian society. The earliest definite usage of the terms Sukuyō-dō and Sukuyō-shi 宿曜師 (Sukuyō astrologers) in journals of aristocrats are from the beginning to the mid-eleventh century. Japanese scholars note the Fu Tianli 符天歷 calendar (formulated by Cao Shi Wei 曹士蒍 between 780-783) brought by Tendai monk Nichi'en日延 in 957 (departed Japan for China in 953) was also indispensable in the establishment of Sukuyō-dō. Summoning an astrologer of the Indian school [Sukuyō], the emperor was pleased to learn that the Indian view coincided with the Japanese and the Korean; and so he concluded that the boy should become a commoner with the name Minamoto or Genji. In the tenth and eleventh centuries when the Ritsuryo 律令 system of centralized state administration based on earlier Tang models was disintegrating, and both political and social upheavals were affecting the aristocracy there was tension and unease which led to the upper echelons of society to consider their own individual fates. Predictably there was also an interest in possibly changing one's fate for the better through esoteric religious practices. As in China, it was believed that one's fate was determined by the stars. 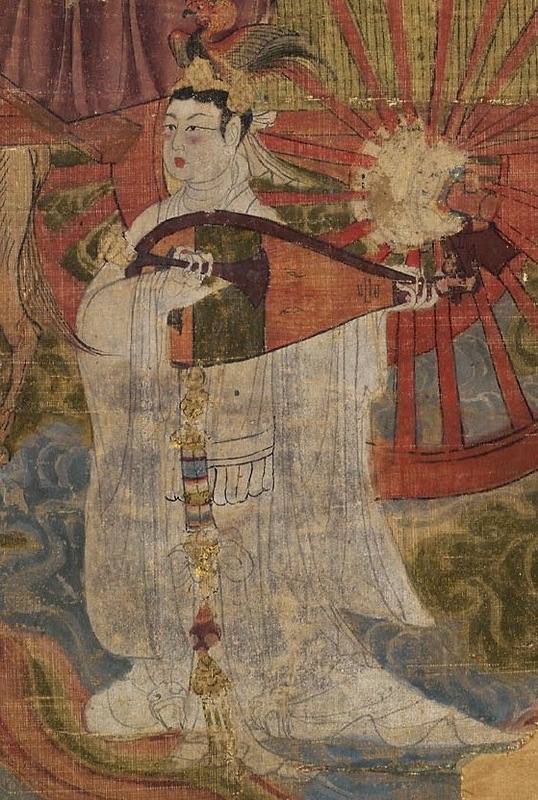 Esoteric practices of star worship had flourished in Tang China, the source of much imported culture in Japan. Consequently astrology formed an indispensable component to these beliefs. At the time Onmyō-dō was primarily concerned with national interests rather than personal concerns. - All calamities befalling the realm were caused by planetary movements, i.e calamities were caused by some form of cosmic imbalance. - Calamities could be counteracted by making sacrifices to the proper divinities in charge of the cosmic order. As one can see esoteric Buddhist astrology went hand in hand with Buddhism in China, Japan and Korea (as well as other less well-known countries like that of the Tanguts and Khitans), though as mentioned earlier this fact seems to be largely neglected in the modern study and practice of East Asian Buddhism which, at least in the English speaking world, tends to pay less attention to mysticism in said field, though this is changing. It is also worth mentioning how it seems astrology has been abandoned by Buddhist revival movements around East Asia, most notably in the post-WWII Humanistic Buddhism movement out of Taiwan. Organizations identifying with Humanistic Buddhism generally position themselves as custodians of an orthodox yet modernized Chinese Buddhism, though it is interesting to see what has been left out of that development. One conclusion we can take away from the above discussion is that in East Asia despite the Vinaya and literature related to bodhisattva precepts clearly proscribing both divination and astrology, both were actively practiced and even part of some other Buddhist literature, much of which was translated or at least adapted from Indian sources. There is of course a contradiction here. If both Mahāyāna and Vinaya texts proscribe these practices, then why do some sūtras and tantras basically prescribe them? The answer to this is fairly straightforward: there are multiple currents of thought, values and practice from various time periods and communities with often mutually incompatible ideas. The authors of Vinaya texts from India had different ideas concerning astrology from the Buddhist astrologers in later centuries. Some Chinese texts attempt to emulate many of the values stemming from the former, though monastic and bodhisattva codes were never reflective of actual behavior on the ground so to speak. We need to recognize the difference between the prescriptive and the descriptive. Given the above overview, we can also see the inherent appeal of astrology to peoples in pre-modern East Asia. There was minimal if any taboo in practicing it, and clearly several Buddhist masters thought it was beneficial both to the welfare of individuals and the state. It was important enough also to spawn new sūtras where the Buddha himself is presented as providing instructions on astrology or the use of astrology-related dhāraṇī-s. This also brings up another point: the success of so-called “apocryphal” sūtras in China. Some of the texts cited above are unmistakeably of Chinese origins, though that perhaps added to their popularity. The Brahma Net Sūtra, for example, is widely held by scholars to have been composed in China, though nevertheless it became the basic text for bodhisattva precepts around East Asia until modern times (it arguably still is). It is therefore not so surprising that astrology texts would likewise be composed or adapted and thereafter enjoy a degree of success that often accredited Sanskrit-Chinese translations seldom enjoyed. Astrology was important to people in ancient China, Korea and Japan – to say nothing of Tibet and India as well – and this needs to be appreciated if we are to truly understand the evolution of Buddhism in the Sinosphere. 1 The Mahāsaṃnipata Sūtra 大集經 (T.397) by Dharmakṣema/ Narendrayaśas, translated sometime before 586, perhaps in 396, has the 12 zodiacal signs. See Bill Mak, “Ratnaketu-parivarta, Sūryagarbha-parivarta and Candragarbha-parivarta of Mahāsaṃnipātasūtra (MSN) - Indian Jyotiṣa through the lens of Chinese Buddhist Canon”. 2 In many ways the work of Richard Thompson is commendable, but he was evidently emotionally invested in the religious narratives surrounding the origins of Indian astrology and consequently many of his conclusions are not based on objective evidence, but wishful religious thinking. Nevertheless, his book is worth reading as it introduces in detail Vedic astronomy from both emic and etic perspectives. 4 Gregory Schopen, “Archaelogy and Protestant Presuppositions” in Indian Monastic Buddhism Collected Papers on Textual, Inscriptional and Archaelogical Evidence (New Delhi, India: Motilal Banarsidass Publishers Private Limited, 2010), 4. 5 Ann Heirman in "Vinaya: From India to China" in Handbook of Oriental Studies The Spread of Buddhism, edited by Ann Heirman and Stephan Peter Bumbacher (Leiden: Brill, 2007), 143. 6 (CBETA, T22, no. 1428, p. 955, b13-15). The comical behavior of the group of six bhikṣus is found throughout Vinaya literature. For more information see my article “Six Bad Monks”: https://sites.google.com/site/dharmadepository/writings/six-bad-monks. 15 Han Bielstein, The Bureaucracy in Han Times (New York, NY: Cambridge University Press, 1980), 131. 16 For an extensive study on the life of Yixing see Osabe Kazuo 長部和雄, Ichigyō Zenji no Kenkyū 一行禪師の研究 (Kōbe, Japan: Kōbe Shōka Daigaku Keizai Kenkyūsho 神戸商科大學經濟研究所, 1963). 17 George A. Keyworth, "Yixing" in Handbook of Oriental Studies Esoteric Buddhism and the Tantras in East Asia (Leiden, The Netherlands: Brill, 2011), 342-344. 19 During his time at university a certain monk, possibly either Gonsō 勤操 (758–827) or Kaimyō 戒明 (d. 806?) in Nara, introduced him to it which he performed in seclusion in Shikoku. As the story goes, he was doing this practice at Muroto Misaki 室戸岬 (in modern Kōchi prefecture) when the morning star Venus on the horizon suddenly appeared before him and descended into his mouth resulting in a profound mystical experience. 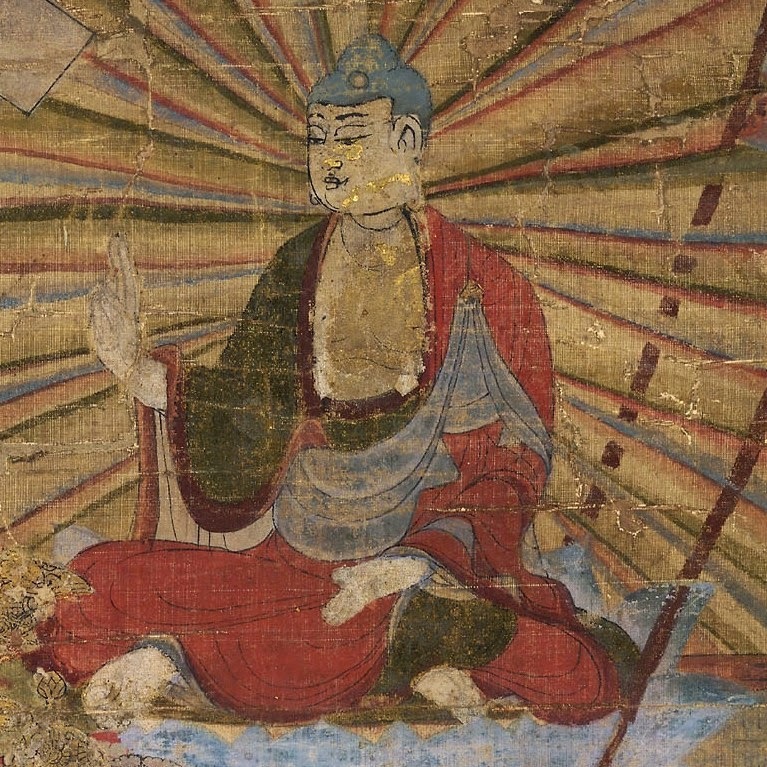 The star was said by Kūkai to have been a manifestation of Ākāśagarbha Bodhisattva. This experience during his youth fostered even greater faith and motivated him in his practice, which eventually led him to China where he pursued his studies. 20 Rāhu and Ketu are considered 'shadow planets'. These are not recognized as existent by modern astronomy, though they do correspond with a quantity that is measured by modern astronomy: Rāhu is the ascending node of the moon and Ketu is the descending node of the moon. In the Vedic literature it is often mentioned that Rāhu causes solar and lunar eclipses by passing in front of the sun or moon. To many people, this seems to blatantly contradict the modern explanation of eclipses, which holds that a solar eclipse is caused by the passage of the moon in front of the sun and a lunar eclipse is caused by the moon's passage through the earth's shadow. However, the actual situation is somewhat more complicated than this simple analysis assumes. The reason for this is that the Sūrya-siddhānta presents an explanation of eclipses that agrees with the modern explanation but also brings Rāhu into the picture. This work explicitly assumes that eclipses are caused by the passage of the moon in front the sun or into the earth's shadow. It describes calculations based on this model that make it possible to predict the occurrence of both lunar and solar eclipses and compute the degree to which the disc of the sun or moon will be obscured. At the same time, rules are also given for calculating the position of Rāhu and another, similar planet named Ketu. It turns out that either Rāhu or Ketu will always be lined up in the direction of any solar or lunar eclipse. ... The positions assigned to Rāhu and Ketu correspond to the ascending and descending nodes of the moon - the points where the orbit of the moon (projected onto the celestial sphere) intersects the ecliptic, or the orbit of the sun. These nodal points rotate around the ecliptic from east to west, with a period of about 18.6 years. One of them must always point in the direction of an eclipse, since the moon can pass in front of the sun or into the earth's shadow only if the sun, moon and earth lie on a straight line. Richard L. Thompson, Vedic Cosmography and Astronomy (Delhi, India: Motilal Banarsidass, 2004), 97-100. 25 Henrik H. Sørensen, "Astrology and the Worship of Planets in Esoteric Buddhism of the Tang" in Handbook of Oriental Studies Esoteric Buddhism and the Tantras in East Asia (Leiden, The Netherlands: Brill, 2011), 237. 26 Ibid., see footnote 22 on page 236. 27 For further details on the Tejaprabhā cult see Henrik H. Sørensen, 239-241. 28 Adapted from my entry on this text in the Digital Dictionary of Buddhism (http://www.buddhism-dict.net/ddb/). 31 There are two tables in the Taishō, both differ considerably and hence were included by the editors. 32 See Toda Yusuke 戸田雄介, “Kamakura Bakufu no Sukuyō-shi Toku ni Chinyo ni tsuite” 鎌倉幕府の宿曜師 特に珍誉について in Bukkyō Daigaku Daigakuin Kiyō 佛教大學大學院紀要 35, 2007, 45-59. http://ci.nii.ac.jp/naid/110007975244/ja/. 33 For a number of articles on the subject see the Japanese Journal of Religious Studies, JJRS Volume 40:1 (2013): http://nirc.nanzan-u.ac.jp/en/publications/jjrs/listofjournals/. 35 See Toda Yusuke 戸田雄介, “Sukuyō-dō no Insei-ki Chinga to Keisan wo Chūshin ni” 宿曜道の院政期 珍賀と慶算を中心に in Bukkyō Daigaku Daigakuin Kiyō 佛教大學大學院紀要 34, 2006, 27-40. http://ci.nii.ac.jp/naid/110006472614. 36 Henrik H. Sørensen, “Esoteric Buddhism under the Koryŏ in the Light of the Greater East Asian Tradition” in International Journal of Buddhist Thought & Culture, September 2006, Vol.7, 71-74.